Our goal has always been to guide you to a life of exceptional health and wellness, regardless of your starting point. We do this by overseeing all aspects of your health and fitness with the help of one of our certified personal trainers. But to take you through an exercise program once or twice a week isn’t going to be enough to make great changes. So when you hire an Intelligent Fitness Trainer you get the whole team, and we assist you with all things health and fitness related including exercise for all levels, nutrition, accountability & providing you with the community you need to thrive. We can help, so please contact us to learn more about becoming the best you possible! 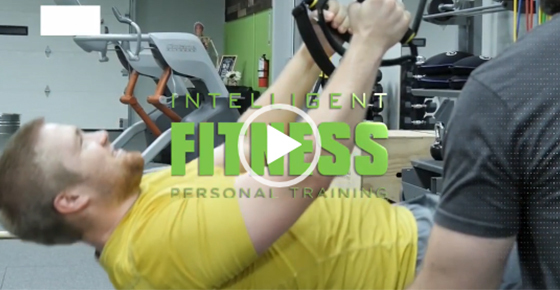 I began my training at Intelligent Fitness with Danielle eight years ago. I was involved in a car accident that left me with hip and back pain… The first thing Danielle did was LISTEN to me and then she EVALUATED me and created a PERSONAL training program for me. This program was designed to help strengthen the weakened areas and to bring my ENTIRE body into BALANCE… Danielle continually adjusted the program as I became stronger. I am happy to say that she saved me – I thought I was destined to live with pain and she has proven that with the right strength program you can live a life with little or NO pain! She is professional, thorough, kind, explains everything and thoroughly answers every question. We know, this sounds scary! However, medical fitness means more than chair exercise & water aerobics. It’s prepping you physically for surgery, post-rehab exercise, etc. so you can return to normal quickly. We want to help you prevent issues that might be in your family health history, such as high blood pressure or high cholesterol. It’s about injury prevention for athletes & appropriate nutrition & recovery work so everyone stays healthy. We don’t have long term contracts! That way you can take it step by step. Our classes are small - between 5-10 people on average - and are included in our memberships. The small size allows us to be sure you are safe while also working to your ability. We have classes for every level & they are developed to progressively improve their fitness level. Our facility is like your home… comforting & beautiful. We have a kitchen, private shower rooms, & more. It’s a place you can come to as a home-away-from home.